No one absolutely no one knows when they or anyone else will hit the emotional bottom that it takes to get sober. Getting clean and sober is no easy task. However, if we have hit a nasty emotional bottom, it usually causes a deep and lingering fear within us of returning to the horrible drink and drug that planted our guilt. That fear in itself can supply the momentum needed to stay sober long enough to get a sponsor and work the steps. Unfortunately we never know when that bottom will appear. We never know when a loved one will have had enough. Sometime the fear of going back out hangs onto to us even after years of sobriety. Reason being most of us have relapsed so many times we just don’t trust ourselves. Think about it, even if another man betrays us we never fully trust him again. We do this same thing to ourselves (most of us) by setting out to stay sober over and over and failing miserably. Therefore we tend to feel we are on really shaky ground even after years of sobriety. As a solution for that fear I would tell myself. “Self, it’s not you that is keeping you sober, you are relying on the program now, as long as you work the program, the program works! You will not relapse. I knew it worked because I heard testimony upon testimony of just that in meetings. Typically with addicts we may feel extremely guilty and remorseful about the the debauchery of the night before and quit for a day or two. But unfortunately again addicts forget so quickly the pain of a hangover or the pain of withdraw symptoms until directly after the next benge. What the program does if we work it is remind us of the pain we have been through so its not so easy to justify that first drink or first drug. Therefore, the rationalization and memory lapses that are required to get drunk again do not happen as readily. 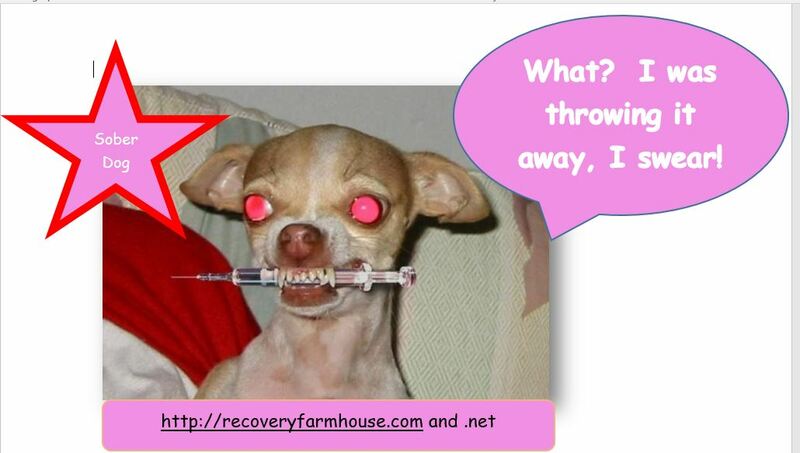 So many times we addicts get sober then hope and pray our loved ones will follow suit. We think if we just share what worked for us surely they will take the same route. Why wouldn’t they? We think. But very seldom do they follow suit until they finally hit their own pitiful and incomprehensible demoralization. The more we harp on them to stay sober and preach to them about what worked for us the more it pushes our loved ones away.